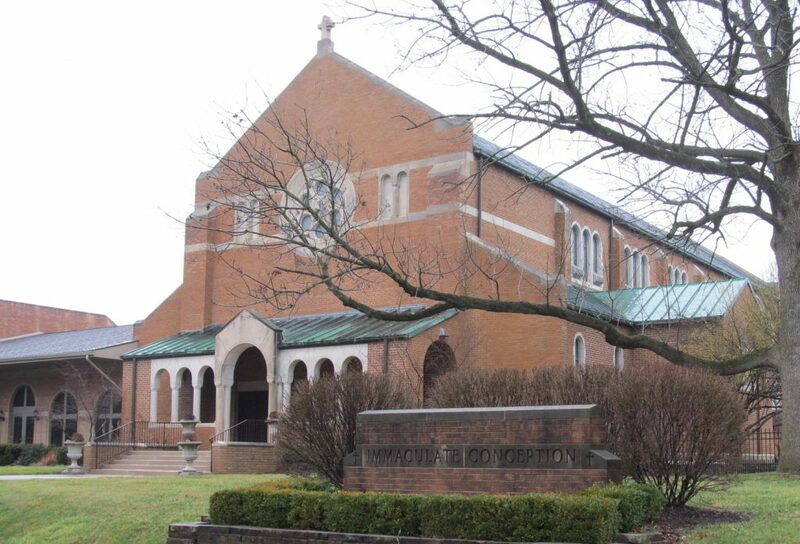 Immaculate Conception has been part of the Clintonville community for over 100 years. Our long history is something to be proud of and we are still growing with new parishioners coming to our Church. With the continued support and involvement of the people of the parish, Immaculate Conception will continue to be a vital part of this community. Immaculate Conception was first dedicated on December 8, 1916 by Bishop James J. Hartley, D.D., Bishop of Columbus. In 1922 there was a small frame chapel which provided room for about 50 families.The present church was started in 1938, completed and dedicated in 1939. In 1966 our parish celebrated its Golden Jubilee. 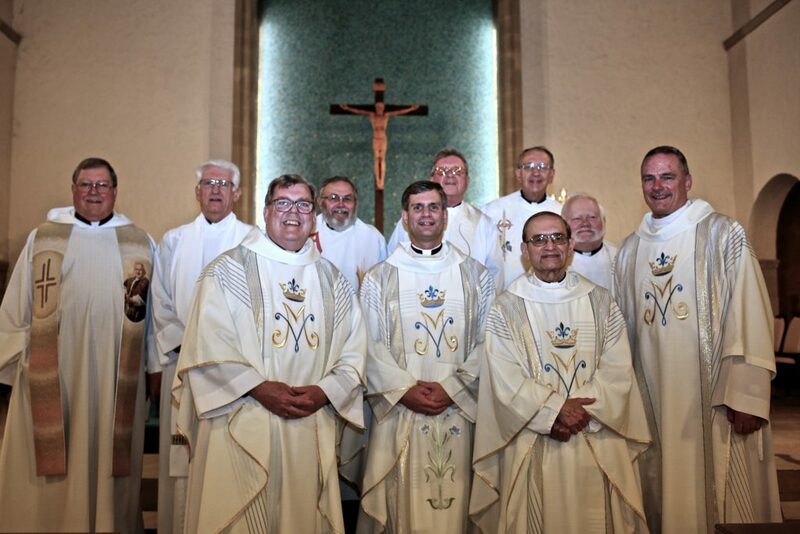 The parish celebrated the 50th anniversary of the church on May 14, 1989. In November 1991 our parish celebrated its 75th Jubilee. In January 2002, Marian Hall and a gathering space were added on to the west side of the Church. The project was completed in 2003 and the debt was retired in May 2008. December 2012, the KofC Church Committee restored the cross to the top of our Church. The original cross came down in a storm some years ago! The cross was fabricated by Jerry Ulibarri of Kobolt Studios, Inc. The Reverend C.J. Norris was the founding pastor with the Reverend John J. Murphy replacing Father Norris in 1917. In 1923 the Reverend John J. Fagan became pastor. Right Reverend Monsignor John J. Fagan died in August of 1960 and Reverend Richard C. Crosser became pastor. Father Crosser retired in June, 1970 and Robert Schmidt became pastor. In 1983 Reverend James Smith became pastor. Reverend Msgr. Anthony Missimi became pastor In July 1991. Reverend Msgr. Stephan Moloney became pastor in July 2008. Father Matt Hoover became pastor on July 2013. In 1922, a private residence was purchased and used as a sister’s convent, with two rooms used as classrooms. The Sisters of Saint Francis of Joliet, Illinois were placed in charge of the classes. Because of the rapid growth in the parish, it was necessary to build a new school. In 1925, the new school was ready for use and part of the building was used for Church services. In 1954, a gym and four classrooms were added. In 1959, three more classrooms were added and the older part of the building was remodeled. 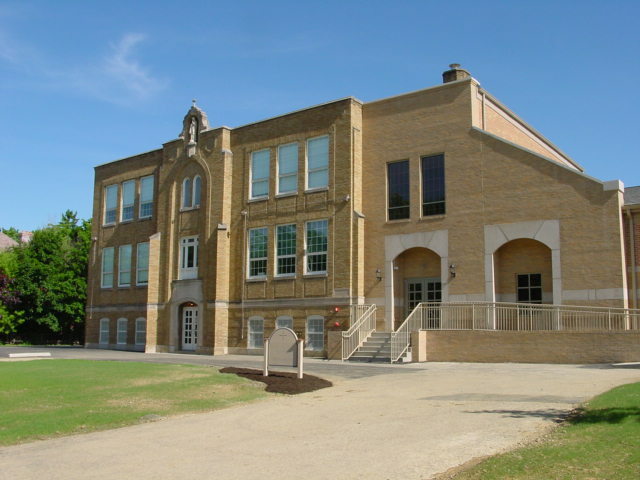 In January 2002, Immaculate Conception launched a $4 million dollar capital campaign for the construction of additional four classrooms, school air conditioning and other updates to our Kindergarten and School buildings. In 1922, a private residence was purchased to be used as a sister’s convent. 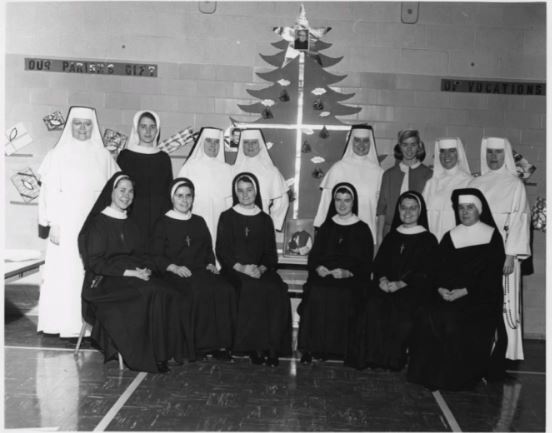 In 1956, the old convent was removed and a new convent built and dedicated in 1957. In 1976 the convent became a residence for senior adults no longer able to live in their homes. This service was discontinued in 1992. 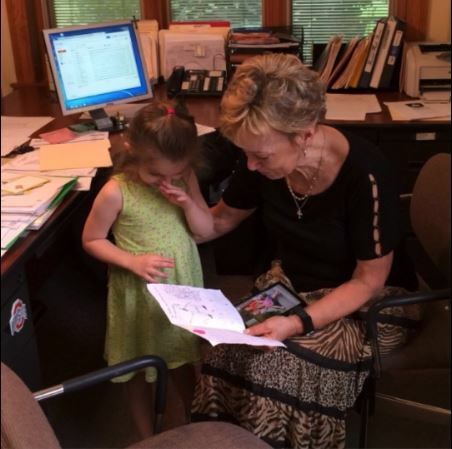 The facility was remodeled in 2003 and it was used for Kindergarten, Latchkey, PSR and other parish needs. In 2013 the Kindergarten was moved to the school. In August 2002, Immaculate Conception began Eucharistic Adoration in the chapel of the Children’s Center. It has continued uninterrupted as the Eucharist is exposed on the Altar 24 hours a day. In 1966, the old rectory was removed to make way for a new administration building. This was completed in 1967. 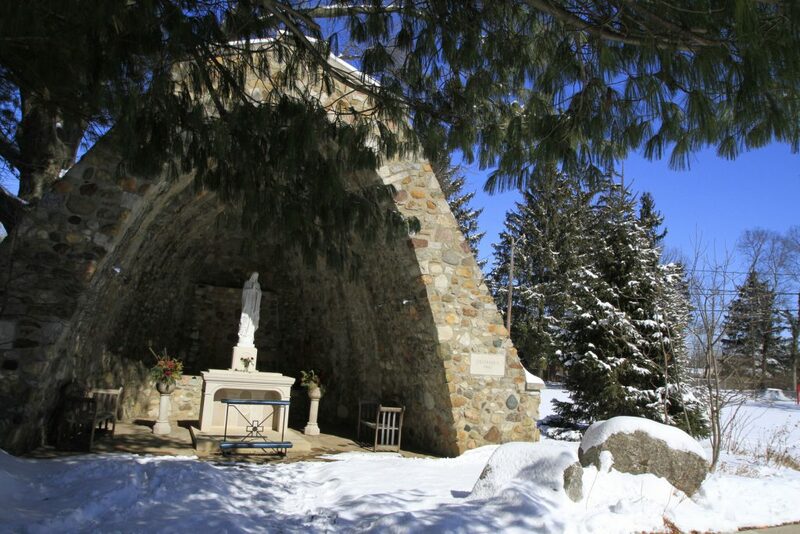 The Grotto was constructed and completed in 1961. The stones were collected from every state in the union and some stones came from foreign countries. Father Crosser also donated stones from the Holy Lands. The grotto was restored in 2016.